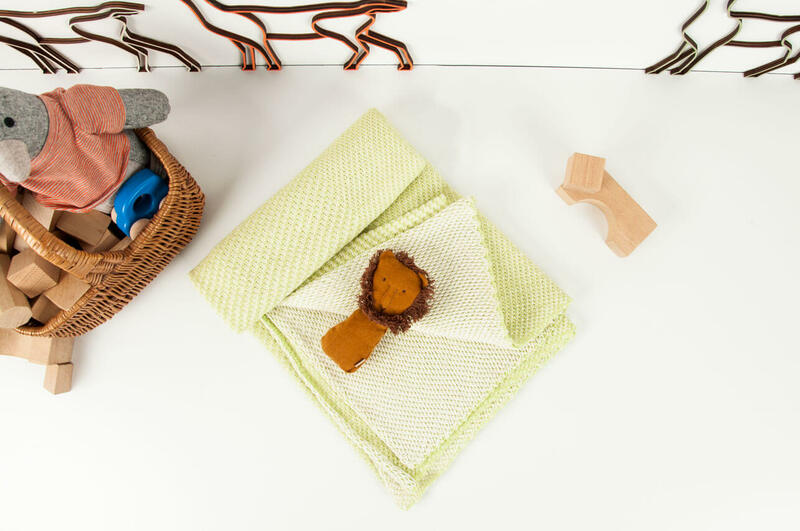 We like products that are both beautiful and useful: Winter in Holland has developed a towel that is both beautiful and practical. After much research into types of cotton and patterns, the result is a collection of three knitted towels. 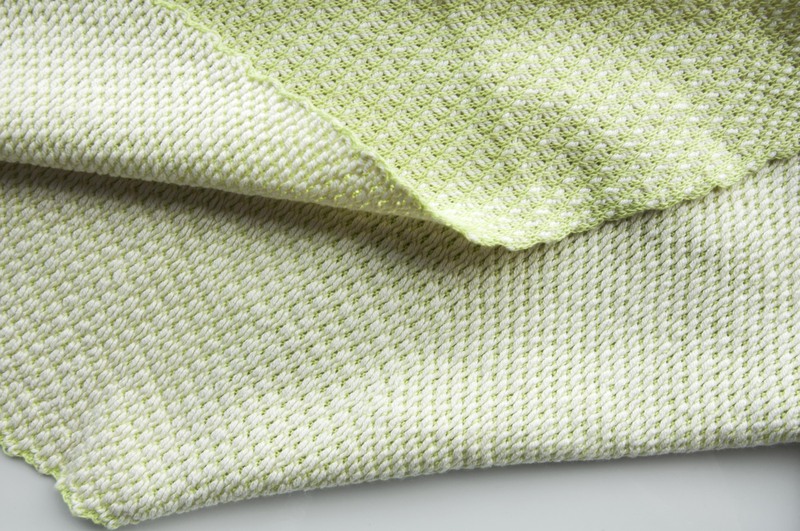 Winter in Holland uses pure (untreated) cotton that enables the fiber to better absorb water, as that is the fiber’s natural characteristic. 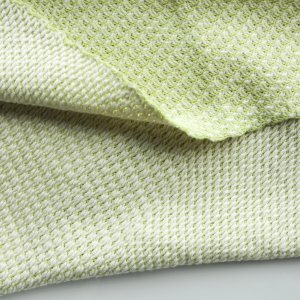 This fiber is worked into a loose pattern, unconstrained the cotton has the space it needs to, again: absorb water. 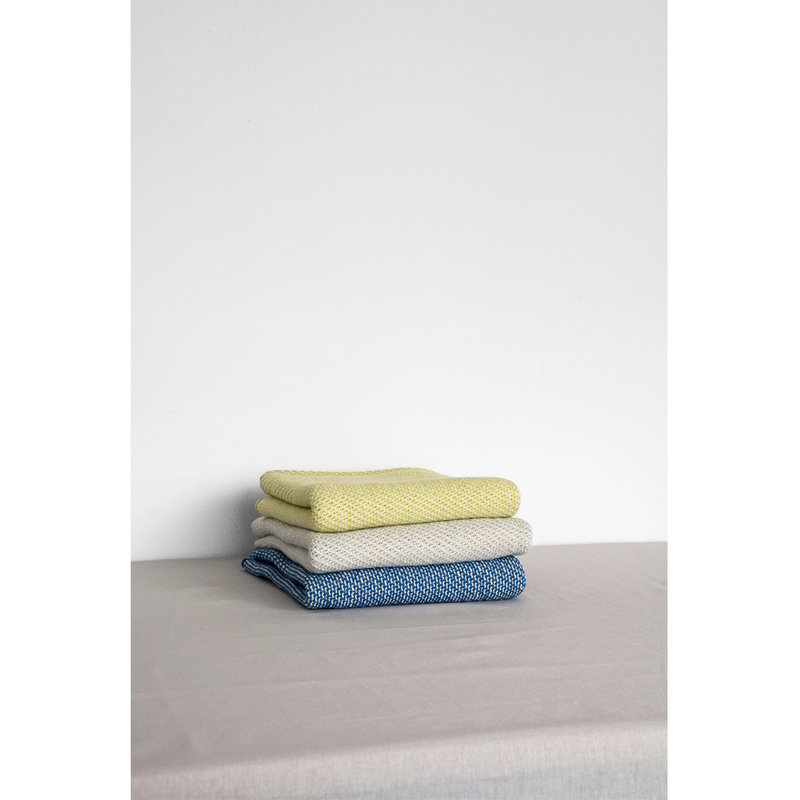 The collection of towels includes 3 different colors: A fresh lime green, thymus grey and bright Blue.